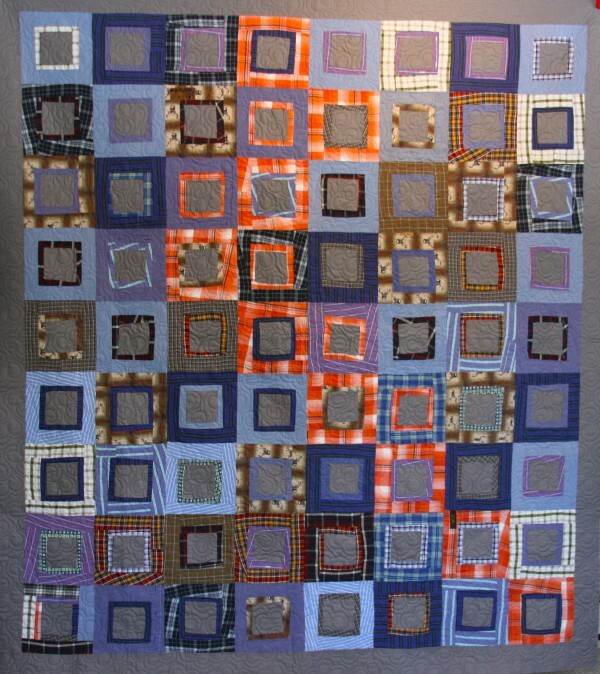 Have you made a quilt with recycled materials such as old clothing, vintage linens, t-shirts, blue jeans and men’s ties? 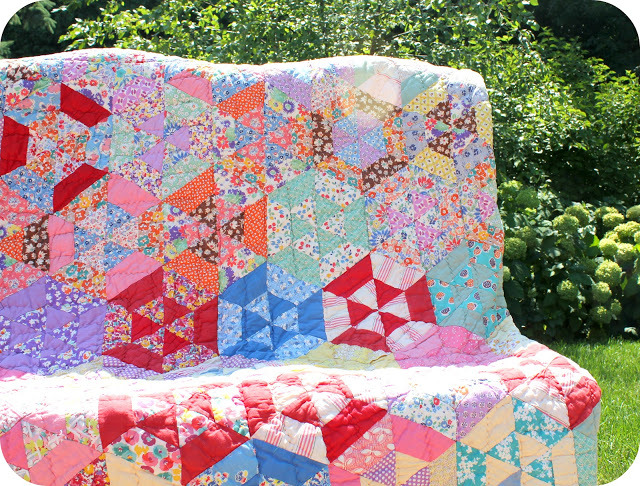 Whether you work from a pattern and incorporate found fabrics into the design or you design your own pattern, using recycled materials for quilting can be extremely rewarding. Maybe the recycled materials has particular sentimental value or maybe you simply enjoy quilting green. 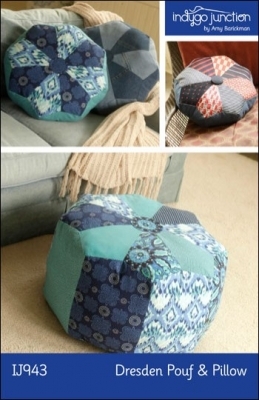 Here are some unique ideas for making a quilt with recycled materials. The Great Depression made it necessary for people to use whatever was on hand to create items essential to everyday living such as tablecloths, clothing and quilts to keep warm during harsh winters. Resourceful people began to use the sacks used to package feed for livestock into quilts. As time went on, feedsack companies began to sell feed in sacks decorated with flowers and other ornate designs. The quilt above, from the Birdie Blue blog is a great example of the ingenuity that brought beauty and comfort into homes where there were few luxuries. Alix Joyal of Makama Mills is an expert at creating quilts using old t shirts, curtains, baby clothes, you name it. She creates custom quilts using the old items, usually with a sentimental value, for her customers. She made the quilt above using old men’s shirts that had holes and stains and therefore destined for the landfills. Alix states, “I constructed the ‘quilt squares’ using a modified traditional technique but instead of making each strip uniform, they are all cut odd shaped and free hand.” This technique gives a lot of depth and interest to this quilt, don’t you think? 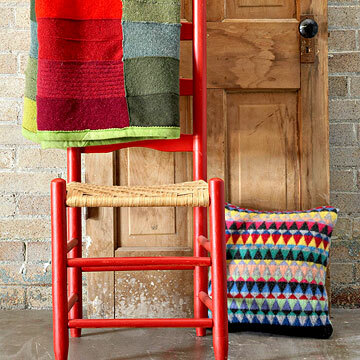 If you are looking for a way to rescue those old sweaters that no longer fit or have fallen out of favor, check out Better Home and Garden’s tutorial on creating a throw from them. Old wool sweaters, which have been felted, are perfect for this purpose. No sweaters on hand to make this? Visit thrift store and look for sweaters that are free of stains and tears. They will need to be at least 80% wool for them to properly felt. 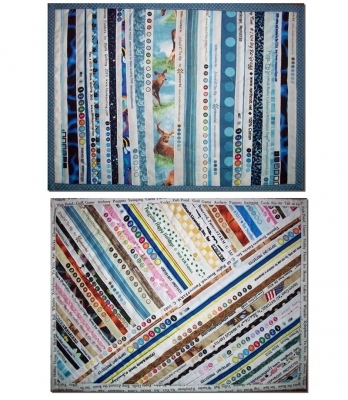 Normally discarded, fabric selvages create charming elements for quilt designs. Carolinasquirrel uses these selvages to make ornaments, table runners, placemats and quilts which they sell in their Etsy shop. How inspiring! We just had to include this one. It is a fine art quilt that is made entirely from recycled candle wicks. 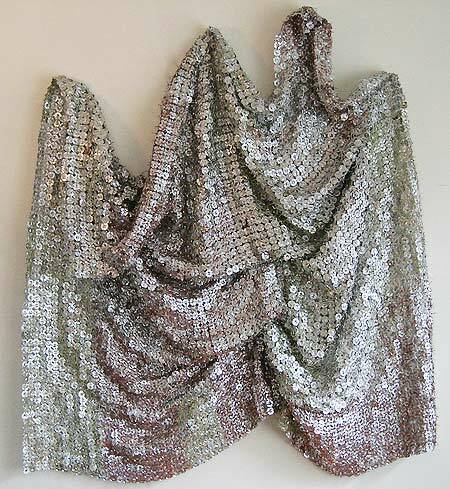 The artist, Patty Shaw, titled this work “Fragments” and appears to have sewn each of the wicks together by hand. The Dresden Pouf and Pillow was inspired by the popular Dresden plate motif. The designer gives an option for creating these from totally recycled materials including denim or men’s ties. 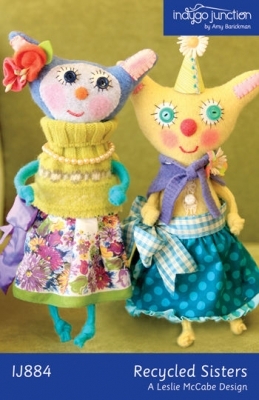 This pattern, Recycled Sisters, features stuffed toy dolls made from recycled sweaters, dressed in repurposed notions, fabric, floss, buttons, and beads. Pieces of felted sweaters are used to create clothing for the toys such as capes and turtlenecks. Vintage hankies are used to make the skirts as well as fabric scraps. The Easy Selvage Placemats pattern is a great way to use up all those saved selvages. 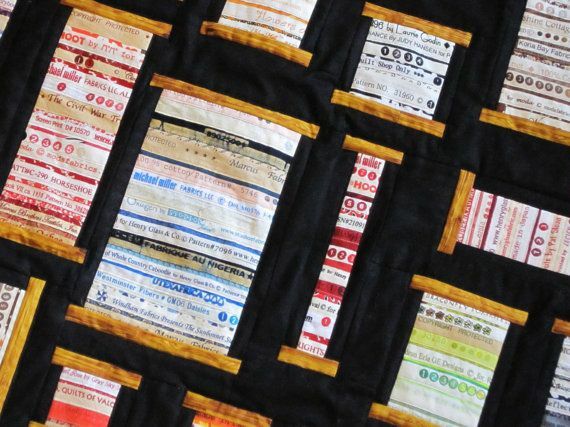 If you need more selvages, you can check out your stash of fat quarters or yardage. Never throw any of that fabric away! We hope you enjoyed learning how to quilt with recycled materials! If you have a project to share, we would love to see it! This entry was posted in Designers, patterns, QuiltWoman, Trends and tagged feedsack quilt, quilts made with recycled materials. Bookmark the permalink. Tremendous information. When you would like amazing skin, do the same stuff you could do to bolster your cardiovascular system, maintain a healthy weight, lift your mood and live longer and better: Get physical activity, rest enough and eat good food. Thanks Emily! I wear this all the time. It’s so comfortable! And of course so I can flex. Haha!